Plains Coreopsis, like its name implies, can be found growing in its native Great Plains region where it’s found along roadsides, fields, and meadows. This annual features flowers with deep red centers, surrounded by bright yellow petals. Blooms June through September. 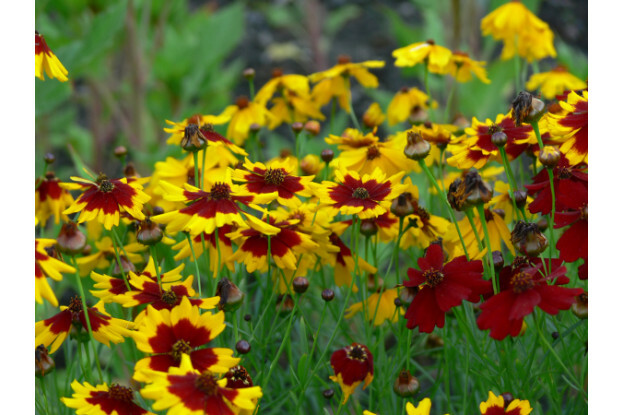 Plains Coreopsis grows up to two feet tall and does best in full sun to light shade. It is quite drought tolerant. If allowed to self-seed, it will return year after year.